Congratulations, Yvonne Mashburn Schmidt, CG!  Springboard Editor2018-05-15T09:51:15-04:00July 20th, 2016|New Associates|Comments Off on Congratulations, Yvonne Mashburn Schmidt, CG! New associate Yvonne Mashburn Schmidt lives in Cartersville in northwest Georgia. This is where she grew up and now does family research. All of her direct family lines are from the South, and many of them were early Georgians. Her professional research encompasses Georgia and includes African American and Native American families with Georgian roots. Yvonne states that goal-setting is not one of her strong attributes, but it would be hard to find evidence of this. Her path to certification was carefully planned and executed. After finishing Boston University’s Genealogical Research Program, she knew she was not yet ready to apply for certification. She studied The BCG Application Guide, Genealogy Standards, Evidence Explained, and journal articles. Having identified the specific skills she needed to improve, Yvonne looked for advanced courses taught by some of the best genealogists in our field. She found many of those courses online (e.g. 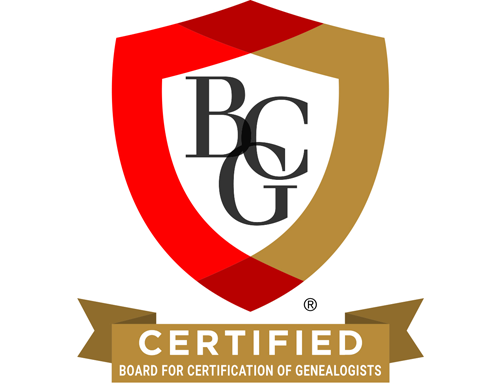 BCG webinars and the Virtual Institute of Genealogical Research), which proves that one need not spend a fortune to acquire the knowledge and skills for certification. The time between her decision to seek certification and her actual portfolio submission was three years. This was a woman with a plan! Yvonne recognizes that there can be an emotional block for people thinking about applying for certification. The possibility of failure was a difficult challenge for her. She carefully considered the consequences of failure and accepted that possibility. She then committed herself to doing everything she could to prepare herself to succeed. She advises others who are considering applying for certification to identify problem areas in their work and target educational opportunities to correct or improve them. Guided by group mentoring with her heroes Elizabeth Shown Mills and Judy Russell, Yvonne pursued advanced research skills. A particular post by Mills on the BCG Facebook page became a reminder for Yvonne of what she needed to do with her portfolio. The post lists common reasons that portfolios are not successful. Thomas MacEntee assisted her when Yvonne became the target of cyber-bullying involving an unfounded attack on her family research. The incident influenced Yvonne’s desire for certification and contributed to her appreciation for ethical behavior in genealogy. Completing the portfolio has made Yvonne a better researcher. She believes that her research prior to the certification process was shallow. Now she knows how to dig deeper. In the next five years, she hopes to target educational opportunities to strengthen the weak areas identified in her portfolio, work toward becoming a better presenter and obtaining her CGL, and promote ethical genealogical behavior in as many ways as she can. Sound familiar? Yvonne has a plan! Yvonne can be reached at georgiagenealogist@hotmail.com. Congratulations, Yvonne!